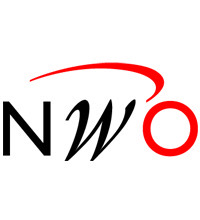 The Bridging the Unbridgeable project is funded by the Netherlands Organisation for Scientific Research, abbreviated as NWO in Dutch, Nederlandse Organisatie voor Wetenschappelijk onderzoek. Invariably, Microsoft Outlook corrects this into NOW: very annoying, as it results in a stupid typo that I didn’t make. Autocorrect is a tool that is meant to help us speedy typists, but it often doesn’t do what we want. That NOW for NWO isn’t the only example is clear from an article that appeared in the New York Times this Sunday, and that was sent to me by one of my friends from Clare Hall, Cambridge (UK). The article is called Auto Crrect Ths! and it gives very funny examples. I’m sure you have your own favourites: please share them with us! This entry was posted in news and tagged autocorrect, Clare Hall, Microsoft Outlook, NWO, NYT, spelling. Bookmark the permalink.